Appearances can be very deceiving. I captured this image (left) on a recent flight into LAX. 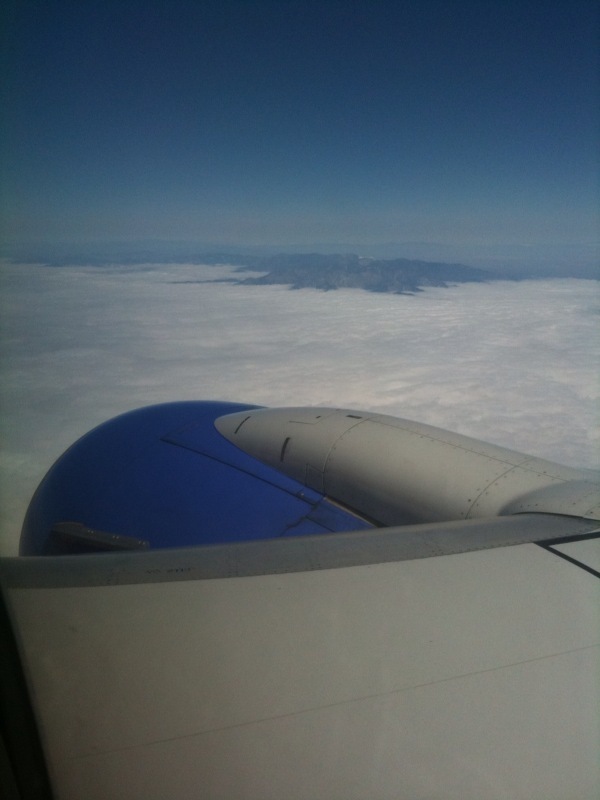 Based on what is visible, one would have no way of knowing this is a photo of Los Angeles, CA. Approximately 30 seconds after taking this photo, my plane passed through the thin layer of clouds. I could see clearly the landscape of Los Angeles to my right and the Pacific Ocean to my left. It is amazing what can exist just below the surface. Broken relationships, fear of being discovered, haunting memories that invade the present, loneliness, insecurity – these are just the tip of the iceburg. The appearance is much more attractive, but we were not created to maintain an appearance. We were created to be authentic. Authenticity requires a willingness to look below the surface and face reality. It is often unpleasant, especially with regard to self, and requires courage a warrior would envy. Are you willing to go there? Are you willing to honestly look at what is just below the surface in your life?